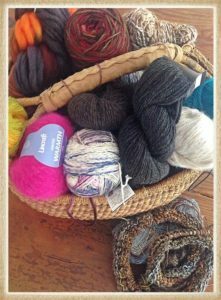 I had just finished cleaning the house and sat down for quick rest before starting outside and across from me was my beautiful stash of wool. 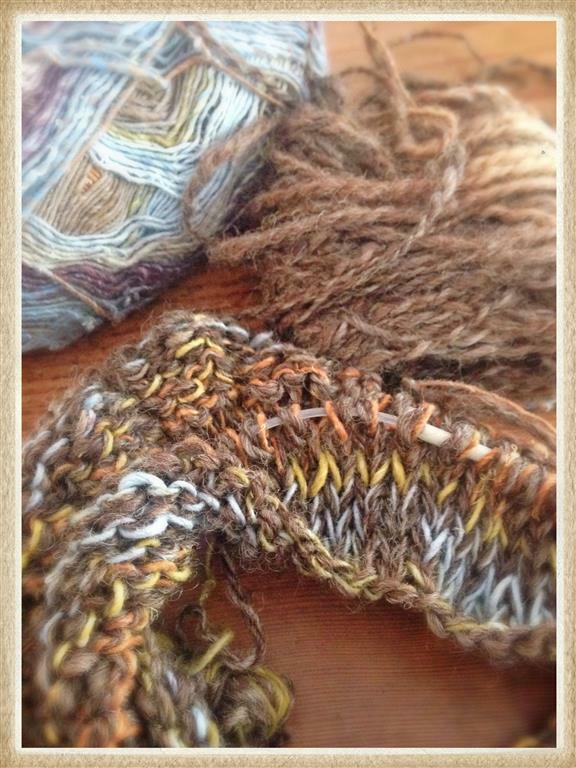 Handspun, commercial, bright colours, thick and thin. It was calling out to me! The wool was in no particular order. It was all scrambled, but pleasing never the less. I didn’t feel like knitting anything complicated. I just wanted to enjoy the feel of the wool and pull together lots of colour. 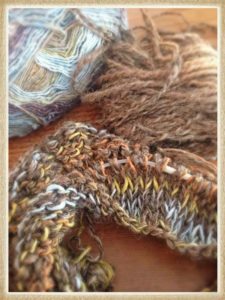 Within minutes I had some gorgeous brown hand spun from one of my long ago sheep and some beautiful commercial wool on my needles. I am going to knit a bag. You can find the pattern on my website. Bits n Pieces. Once I had started knitting I can’t wait to see how it will look. I never plan my colour pallet, I just let it happen. If I try to plan it, I am never happy with it, so I let it have its own life and it will be what it will be. This is the start of it. I hope you like these photos and I will show you more in a few days.